Today, we are thinking about Lorraine Branham, dean of the Newhouse School, who passed away yesterday, April 2, after a battle with cancer. Our thoughts are with her family, her Newhouse family, her friends and all the students whose lives she affected, influenced and transformed. 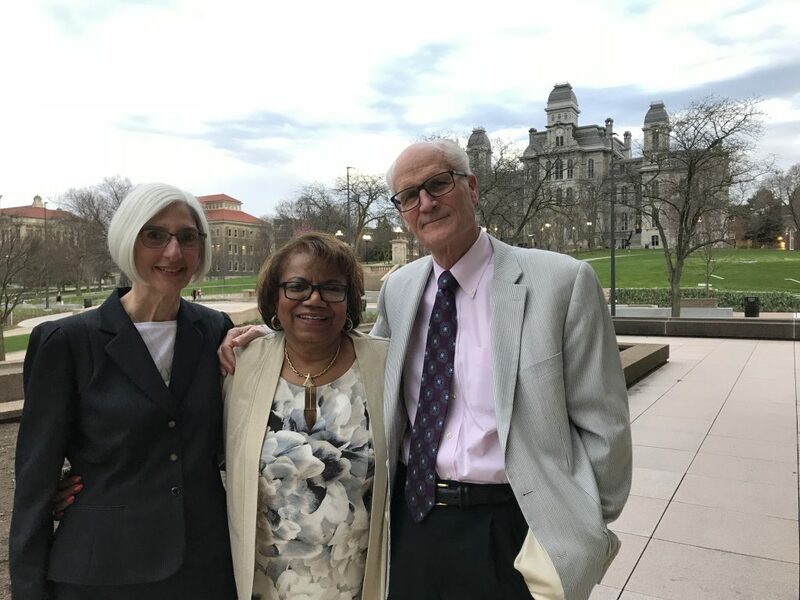 A most fond memory is the time we spent together at our retirement party at the Newhouse School in spring 2018. Thank you, Dean Branham, for everything. I am really sorry to hear of Dean Branham’s passing! I alway found her to be gracious and also a “take-no-cr@p” lady, and I appreciated that it appeared she tried to make herself available to Newhouse students during the transition from Dean Rubin’s tenure.